Leclerc stewed inside the cockpit after being told on lap 11 to move aside for Vettel. The four-time world champion failed to pull away and struggled to make in-roads into the gap to the Mercedes of Lewis Hamilton and Valtteri Bottas. The incident could spark further problems between Leclerc and Vettel in future grands prix. Ferrari sacrificed Leclerc in leaving him out on worn tyres when the Red Bull of Max Verstappen had pitted early. But both drivers and management were in agreement afterwards that it was the right call for the team - even if Leclerc needed a bit of persuading. "It's fair if you see the whole race," claimed Vettel, who in the end trailed race-winner Hamilton by 13.7 seconds and Bottas by 7s. "I want to be ahead of Charles and he wants to be ahead of me. It is just a pain to answer the same questions. The priority lies within the team. This stuff is not pleasant, but what goes around comes around." 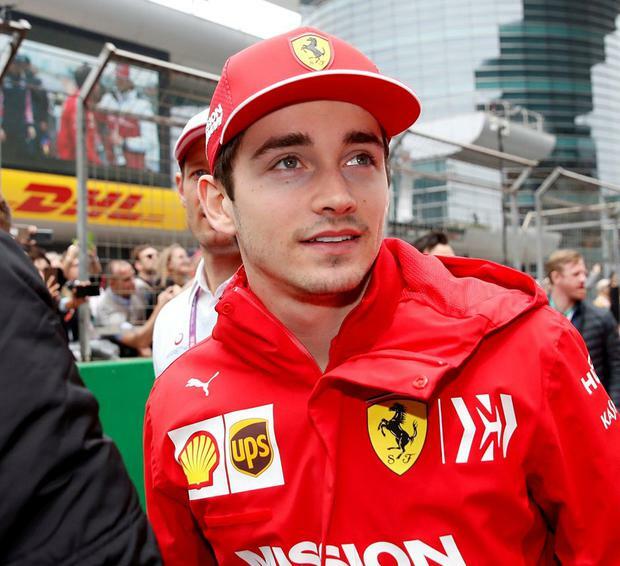 Leclerc vented his frustration with the decision over the team radio, arguing that he had increased his pace when asked to and was actually pulling away from Vettel, but reluctantly moved aside. Philip Duncan Lewis Hamilton was handed a dramatic victory in Bahrain after a cruel engine problem denied Ferrari's Charles Leclerc a maiden win.